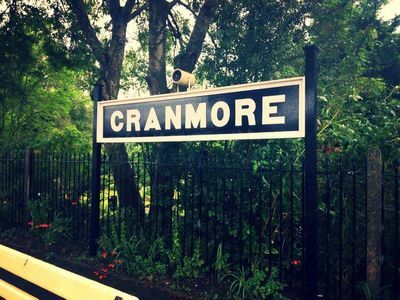 Come to the lovely village of Cranmore, near Shepton Mallet, Somerset to meet our friendly staff and take a relaxing ride on our heritage steam train. The train journey is approximately 40 minutes over our 5 mile round trip and you are welcome to ride as many times as you like on your visit! We are one of very few steam railways where you can visit our Engine Shed and Workshop, as well as enjoying our small Museum, Signal Box, Miniature Railway (Signal Box and Miniature Railway open on specific days), Shop and Whistlestop Café serving delicious home-made meals each day we are in steam (please note: the café will offer a limited service from 11.45am–1pm when our Sunday Lunch service is running ). 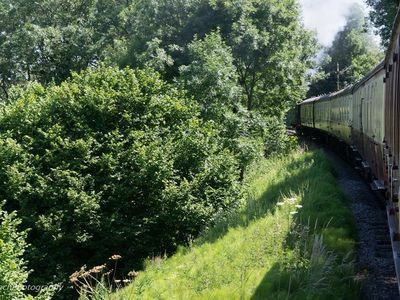 Please allow at least 2-3 hours to relax and enjoy your steam train ride through the beautiful Mendip countryside as well as visiting the other parts of the railway. Our friendly staff are always available to assist in any way, if you have any queries or require any help. If you have a steam train ride gift voucher you do not need to pre-book a day to visit, or a specific train. Don't worry, we always have room for everyone! 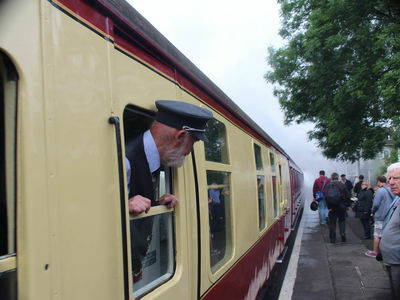 All you need to do is bring your voucher to the Ticket Office (on a day we are running trains!) and we will exchange it for our day rover. This allows you to ride as many trains as you wish, look around our Engine Shed and Workshop, small museum on the platform and our shop and cafe will be open. *Please note* Steam train ride gift vouchers cannot be used on Peter Rabbit™, PJ Masks, The Gruffalo Visits, all Dining Trains and Santa Specials. If you have a gift voucher for a Cream Tea, Sparkling Afternoon Tea, or Sunday Lunch these can be booked via our online ticketing system from each individual page. Steam Train and Event Timetable. Day Rover Ticket Prices and Ticket details. The East Somerset Railway is based at Cranmore in Somerset, which is around 3 miles east of Shepton Mallet. Due to the age of our heritage carriages and their fixed seating we are unable to seat wheelchairs and mobility scooters in the main carriages. We have an adapted carriage for mobility impaired visitors which is accessed via a ramp with seating areas for carers. Assistance Dogs are allowed to accompany their owner in all areas of the railway including the café and dining carriages (please let us know that an Assistance Dog will be with you when booking for our dining trains). 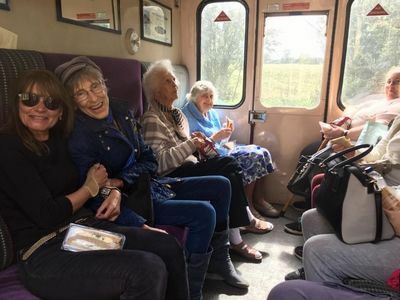 We know that dogs are an important part of family life for many people and that you do not want your faithful friend to miss out on a day at the East Somerset Railway! We love dogs so much that they get to ride free and all we ask is that your dog does not travel on the carriage seats and are kept on a lead at all times (only Assistance Dogs are allowed in our Whistlestop Café and dining carriages). Water bowls are available at the bottom of the main entrance steps and on the platform, plus free dog treats available in the Shop. 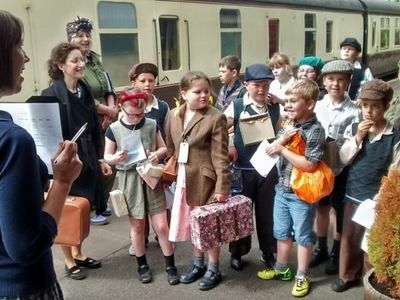 Bring history to life with our Evacuee Experience or general School Visit. ESR Office, Ticket Office, Station Shop, Whistlestop Cafe, Signal Box & Miniature Railway opening times. In addition to our Whistlestop Café patio seating, we have some grass picnic areas that customers are welcome to use. These are situated next to the Children's play area, by the car park and there are some additional picnic tables by the Miniature Railway. 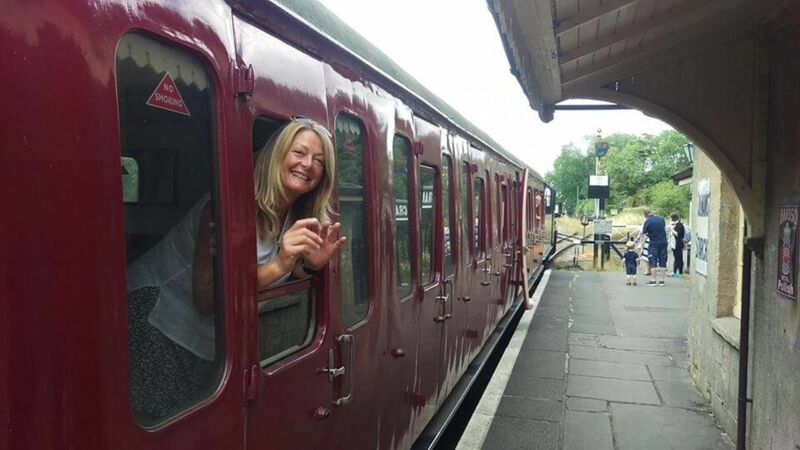 We hope you enjoy your time at The Friendly Steam Railway and if you are able to spare a few pennies as a donation we would really appreciate it. Donations go towards keeping our lovely heritage steam railway open for everyone to enjoy for years to come! 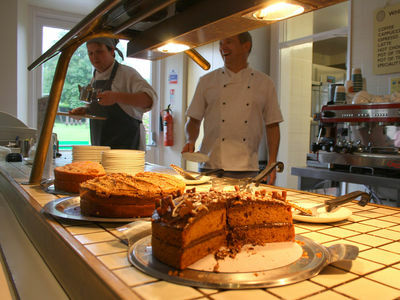 After enjoying your steam train ride why not pause to fuel up in the Whistlestop Café. The East Somerset Railway's contact details. 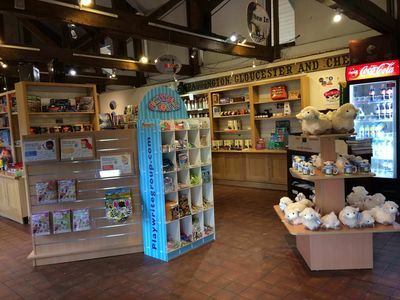 Come and browse our lovely Shop at Cranmore Station.